Cloud computing (CC) is a technology aimed at processing and storing very large amounts of data, which are also referred to as big data (BD). 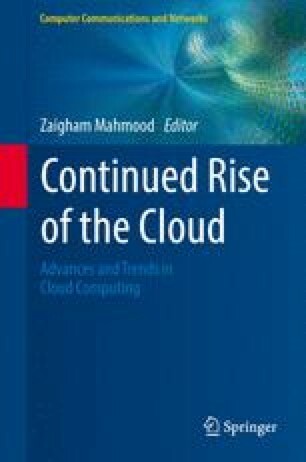 Although this is not the only aim of the cloud paradigm, one of the most important challenges in CC is how to process and deal with the BD. By the end of 2012, the amount of data generated was approximately 2.8 zettabytes (ZB), i.e., 2.8 trillion GB. One of the areas that contribute to the analysis of BD is referred to as data science. This new study area, also called big data science (BDS), has recently become an important topic in organizations because of the value it can generate, both for themselves and for their customers. One of the challenges in implementing BDS is the current lack of information to help in understanding this new study area. In this context, this chapter presents the define-ingest-preprocess-analyze-report (DIPAR) framework, which proposes a means to implement BDS in organizations and defines its requirements and elements. The framework consists of five stages define, ingest, preprocess, analyze, and report. It is based on the ISO 15939 Systems and Software Engineering—Measurement process standard, the purpose of which is to collect, analyze, and report data relating to the products to be developed.